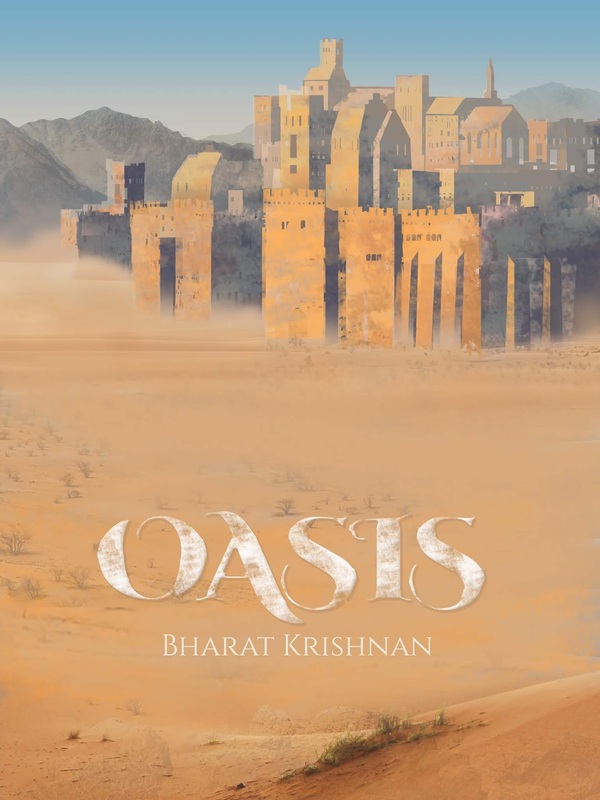 Congratulations to tour winner Dorothy P.
Goddess Fish Promotions is organizing a Virtual Blurb Blitz Tour for Oasis by Bharat Krishnan, a Fantasy available December 11. The tour will run December 10 - December 21, and this tour will not include interviews or guest blogs; however, a blurb, excerpt and author bio will be provided to every host for inclusion on their blog. A PDF or mobi copy of the book is available for review in conjunction with a promo post. 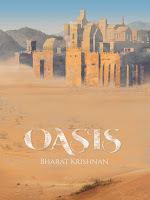 Bharat Krishnan will be awarding a $15 Amazon/BN GC to a randomly drawn winner via rafflecopter during the tour. Once, there was a truce. Desperaux controlled the west with magic, and Desire claimed the east with steel and science. But now magic has disappeared, and the world has changed. The kingdom of Desire will stop at nothing to maintain the new world order. On Juno’s wedding day, their Mengery soldiers came marching through the Nine desert to rip his world apart. Now he journeys east with his adopted brother, Trey, in search of revenge after the murder of his family. Along the way, the two face bandits and the magical creatures of the Nine. When they finally reach Desire, Juno and Trey will face something even deadlier – their own fears and ambitions. This is a tale of brotherhood, a revenge story that will remind you that everything has a cost – a cost that will be paid to Desire and to the inner demons that govern us all.